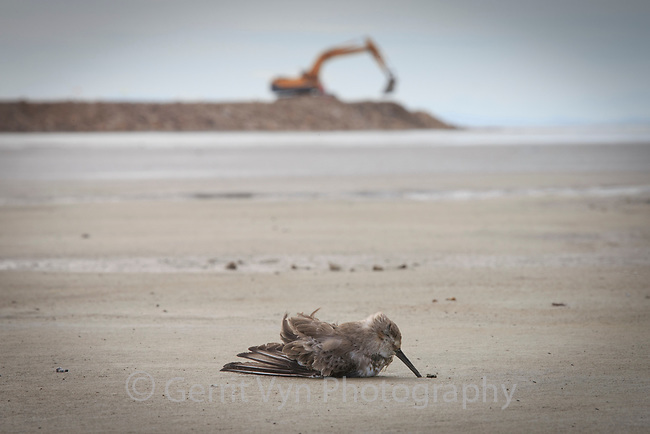 A long distance migrant Dunlin lies dead behind the Saemangeum seawall, the largest land reclamation project in the world. Once the most important migratory stopover site in the Yellow Sea, the now stagnant and polluted mudflats kill thousands of birds. South Korea. October.